Hi There Friends! Well this end of the school year stuff is so crazy busy, but thanks to the App, I am staying caught up! I used the Project 12 - May Kit and a few overlays for my page. I also used the collage feature of the App for the Mother's Day card and the Jazz Cafe yearly comparison card in the lower right corner. I can't wait for week 25 or 26 so I can order some pages (I usually print at the half-way point of the year). Hello Friends! 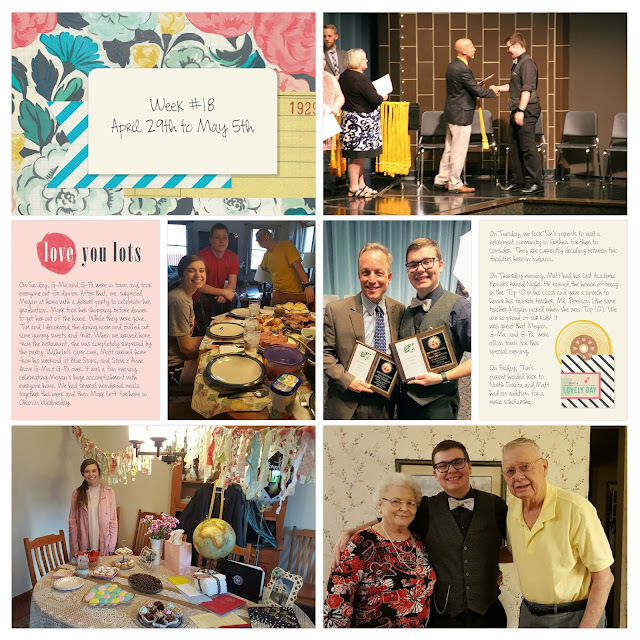 Life is so busy right now, but I wanted to pop in and share my Project 52 pages for the last 3 weeks. 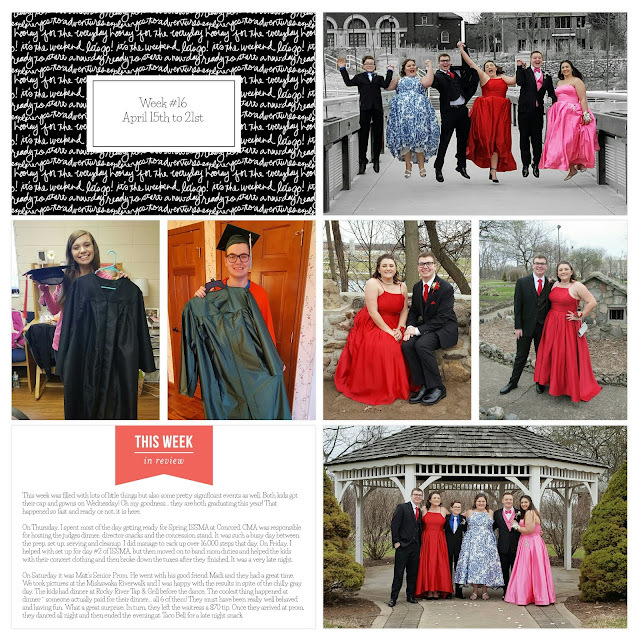 I really intended to share them before now, but I was kind of waiting for Free Form Text to arrive on the Android version of the Project Life App to finish up these pages. They did an App update yesterday so now I have it! WOOHOO! 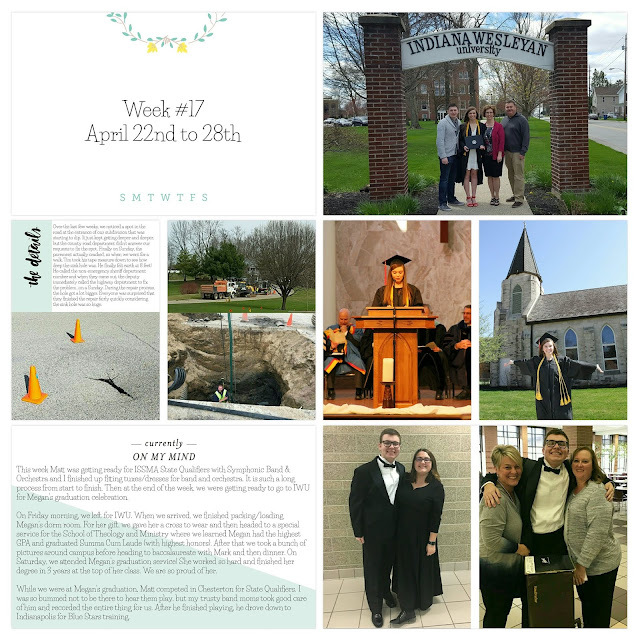 For my week #17 page, I used the Project 52 Fresh Edition. Hello Friends! I know I've been MIA lately, but life is soooooo busy right now. 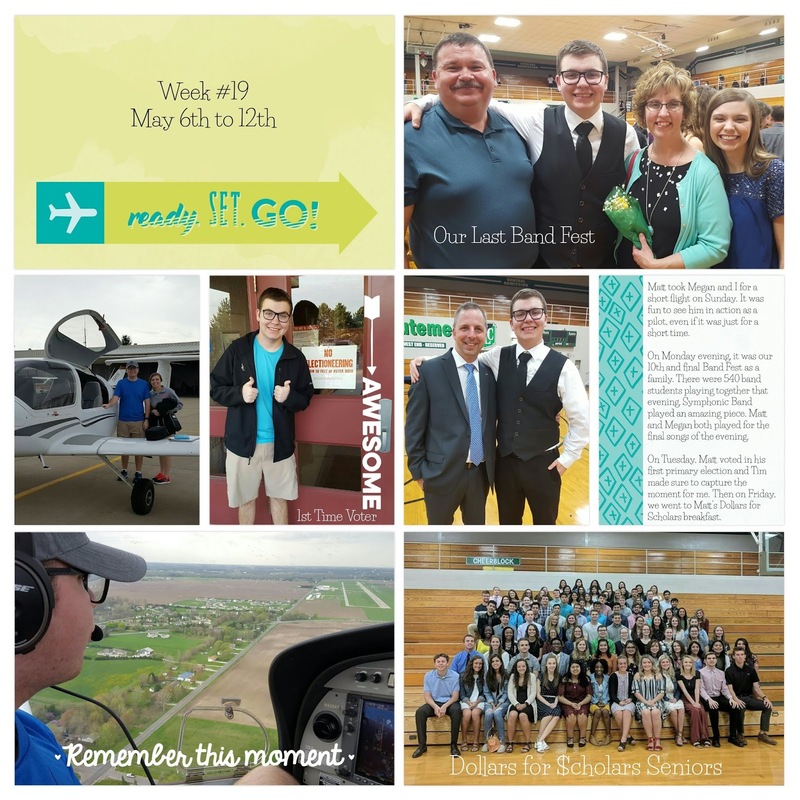 Here's a peek into why... two kids graduating & tons of senior year-end activities. So today I'm finally posting my Week #16 page. I went super quick and easy so I could just get things documented... which is really the most important thing right now! 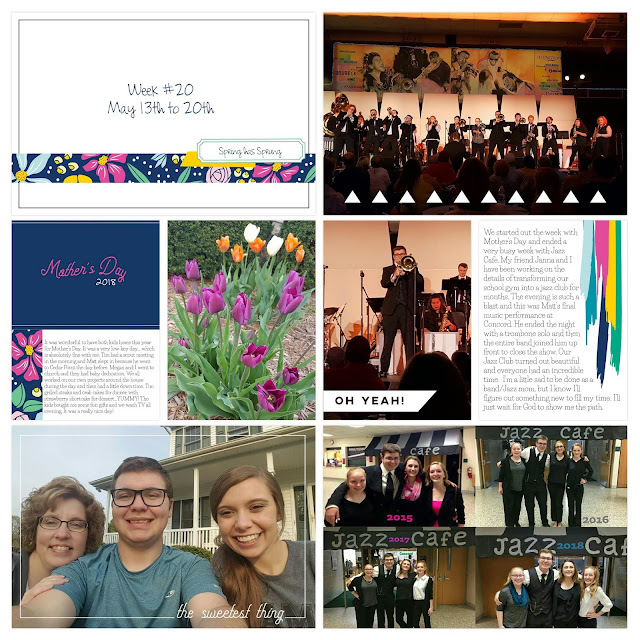 For this page, I used the Moments Like These kit in the Project Life App.